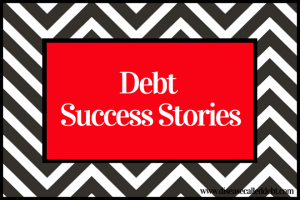 It’s been a while since I was able to post a debt success story for you! So I’m really pleased to be able to share an inspiring story today. This is an interview with Jon Dulin who is the owner of the excellent personal finance blog, Money Smart Guides (and Penny Thots, Breath of Optimism and How You Can Find Love)! Jon currently works as a consultant for the financial services industry. He knows what it’s like to be stuck in the cycle of debt – in this interview he explains his experience and the steps he took to finally become debt free. As well tackling his debt, Jon has also done very well with investing over the last 10 years, accumulating an investment portflio worth six figures! After reading Jon’s interview, please check out his blogs! Q1: What was your debt total at its highest and how did it come about? The highest balance on my debt was just over $10,000. In total though it was probably closer to $15,000 because I was stuck in the cycle of paying it down only to have to come back with a vengeance. As for how my debt came about, it was two-fold. First, in college I got into debt because I had low self-esteem. I started dating a girl and didn’t love myself and didn’t think anyone else could love me either. In my head, I had to buy things for the other person to prove to them that I loved them. I bought her dinners and gifts and racked up the debt along the way. On top of that, when I graduated back in 2001, the economy was in a recession and I couldn’t find a job. I became depressed and spending money made me feel better. The problem was that the “high” wore off quicker and quicker so I spent more and more. Q2: What made you decide to pay off your debt? I tried and failed a few times, but my “ah-ha” moment was when I was about to buy a jacket. As I was looking at one, I thought to myself how I already had 2 jackets at home and never even wore the one. I put the jacket back and did a lot of thinking on the drive home. I realized that I was never going to be able to retire early and live the life I wanted because with the debt and overspending I would never be able to get ahead and invest money. Q3: What challenges did you encounter whilst paying off your debt? The biggest challenge was not addressing the real problem. I transferred balances a few times thinking I was going to overcome my bad spending habit only to fail over and over again. It wasn’t until I dug deep inside myself and admitted I had low self-esteem and was depressed that I was able to overcome my debt. Another challenge was trying to get out of debt overnight. When I got a job, I created a budget and only allowed myself $25 per month for fun. After a few short months I resented my debt and spent money I didn’t have. I realized that I was being too strict and allowed myself to have more fun money. Once I did that, the urge to spend and the resentment towards my debt went away. Q4: How did you stay motivated in order keep going with your debt repayments? My main motivation trick was done when I got home after having my “ah-ha” moment. I took all of the clothes and electronics I bought and piled them onto my bed. I took a picture and put it in my wallet. When I was tempted to spend, I would see that picture and it reminded me to question the purchase and to think about the life I wanted to live, to reach financial independence. In addition to that, I had milestone goals. Every time I paid off another $2,500 I had a small celebration. I would treat myself to a special dinner. Q5: What was the biggest lifestyle change you had to make to succeed? It was simply sticking to a budget. I didn’t look at the budget though as a tool to restrict my spending, but a plan to help me get out of debt and achieve financial freedom. Q6: How did you get the money together to pay off your debt in the end? I eventually landed a full-time job and I used a good portion of that to pay down my debt. At the same time I also took on a part-time job as well and used all of that money to pay off my debt faster. It also helped that I was living with my parents so my housing costs were very low. Q7: What’s the best thing about being debt free? Not having the worry and embarrassment that comes along with being in debt. I hated getting the mail because I didn’t want my credit card statement to come. I never knew what the balance would be, so I dreaded opening the envelope. I was also embarrassed of my debt. I went to college for finance and my friends and family looked towards me for finance advice. I felt like a hypocrite for being in debt. Q8: What advice would you give to others trying to become debt free? First you have to look inside. Most people in debt don’t have a spending problem, even though they think they do. Most times the issue is deeper than this. We just think it is a spending problem because we don’t want to admit we are flawed. But if you don’t admit it, you will be stuck in the cycle of paying down (or off) your debt, only to find yourself right back in debt. I’ll admit it’s not fun or easy to look within ourselves, but it has to be done and the benefits of doing so are immeasurable. Second, realize you won’t get out of debt overnight. You didn’t get into debt overnight, so you won’t get out overnight either. If you try to speed up the debt repayment too much, you will get burnt out. I know you want to get out of debt ASAP, but you have to be reasonable at the same time. Finally, know that you will fail. Even if you admit you are flawed and have a plan, you will have setbacks. Don’t give up when this happens. Instead, use it as a learning experience and grow from it. In my case, I failed because I was too strict with my budget. I could have given up on my desire to be debt free, but I didn’t. I took the time to see how I failed and made adjustments. Huge thanks to Jon for sharing his inspiring debt success story here on Disease Called Debt! Don’t forget to head on over to read Money Smart Guides and Jon’s other blogs. You can also connect with Jon on Twitter. 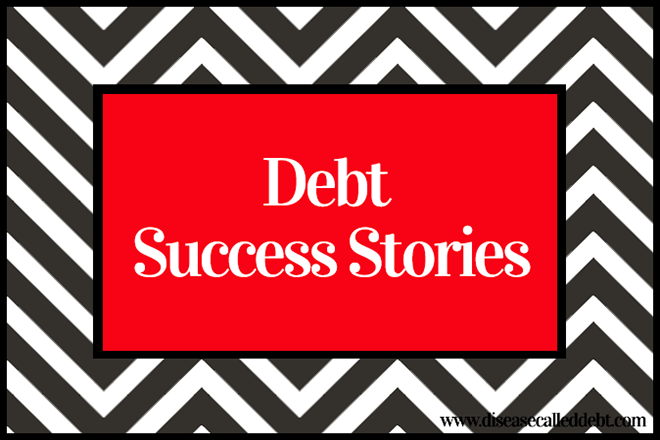 Do you have a debt success story to tell? If you’d like to share it here, please get in touch! I used to buy a lot of clothes before but one day when I was rearranging my clothes, I observed that I still have lots of clothes which I still didn’t wear. Right now, I don’t buy new clothes anymore, I want to be frugal as much as I can. I’m much more disciplined with clothes myself. When I do buy a new shirt or pants (which is rare) I force myself to get rid of something I no longer wear/haven’t worn in a while. It saves me from having clutter around the house and makes me think before buying to question if I really need it. Interesting story! I love that a jacket is what made you stop and think, Jon. It’s funny at times when and what makes that light bulb go off! My debt repayment story is very much a work in progress, but I do feel like we’re finally making progress. Congrats Jon – what an inspiring story! Great to hear you are making progress. Just keep pushing ahead. Times will get tough but the reward at the end is worth it all! Really interesting story! It’s such a big realization knowing that you are not going to reach your goals or your dreams because of small everyday ‘things’ that you really never needed or wanted in the first place. That’s definitely the feeling I have sometimes and grapple with in terms of snacks and food after work. The worst part is that there really isn’t anything to show for it years from now. Yeah, at the time we think “what’s $1 for this or that, it’s not going to add up to anything”, but after doing this everyday (or more) we see just how much $1 here and there adds up. It’s tough to make the realization, but once you do, it’s mind blowing! From this day onwards, I will have a picture of things I bought in my wallet. If it works on you Jon, this must also help me motivated, hopefully. I have learned so much from you Jon. You must have served to be a role model for others who are reading your story. Congrats by the way.